Come join in the fun at the Middle School Lock In! We begin at 5:00 and end at 7:00am on Sunday. Dinner and breakfast provided. Bring a snack or drink to share with the group. We will also be sleeping so be sure to bring blankets/sleeping bag/pillow etc. As always, friends are welcome! MAY 12th is Movie Night: Dead Poet’s Society @7:00-10:00pm – DPS is the tale of English teacher John Keating efforts to inspire his students to look at poetry with a different perspective of authentic knowledge and feelings amidst the trials of growing up. The movie is rated PG but does deal with some heavy topics including suicide. All high school youth and current 8th graders are invited to watch with us and then discuss the film afterwards. Our annual trip to the zoo is fast approaching! Oh, and having Ted Drewes afterwards is pretty awesome too! We will be gathering at the church at 8:45am with hopes of departing by 9:00am. We should return back to the church around 4:00. We could use a few parents to come along as drivers/chaperones (and you can even bring young kiddoes along if you want). Each person is responsible for bringing along a sack lunch and drink. 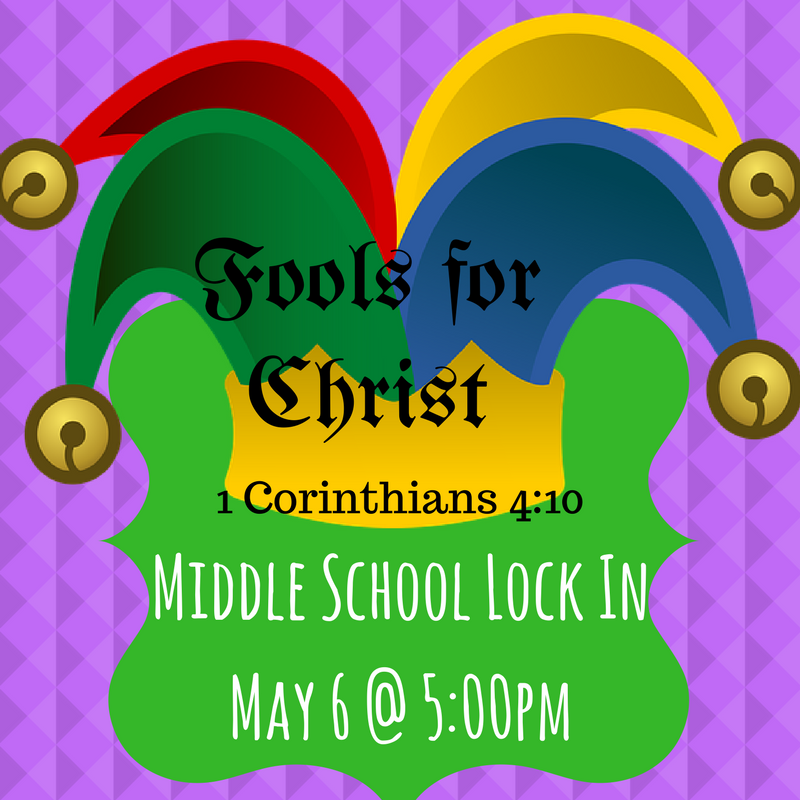 This event is our first event open to incoming 6th graders, so please join us! June 3rd High School Lock In – 5:00pm to 7:00am (Sunday). Bring on the fun! After worship at the 5:30 worship service we are going to bolt on over to play a little Demolition Ball (think lacrosse in bumper cars). Afterwards we will head back to the church for activities including devotions, a movie, and ceiling tile painting for the incoming freshmen! As we are going out for part of the event, it is critical to RSVP to Chad so we can adequately coordinate transportation and food. There is a $5 cost for this event which includes dinner and the cost of demolition ball. Please feel free to invite friends. We ask each person bring snacks or drinks to share with the group.